Khizr Khan;s nine minute speech at the Democratic National Convention effectively improved US / Muslim-relations. His name became a Worldwide Twitter Trend and the tweets were enthuiastic. 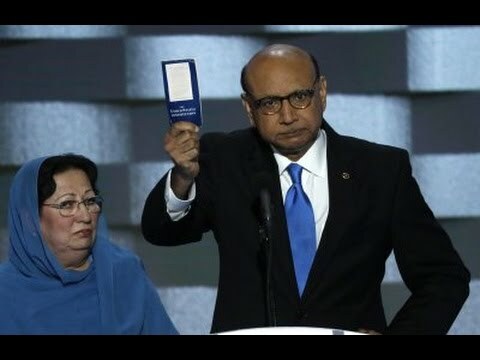 But the best part of Khizr Khan’s speech was his taken down of Donald Trump, asking him if he ever even read the U.S. Constitution. Be the first to comment on "Khizr Khan Speech At DNC Sparks Register To Vote Searches"